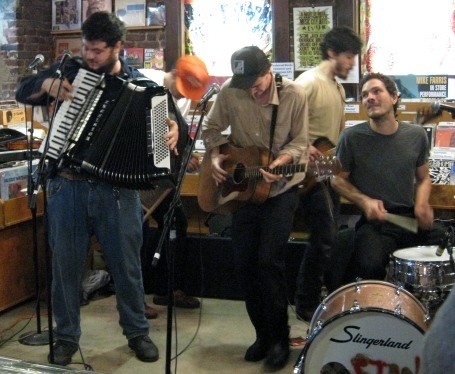 We have yet another rainy day today, so here is a picture of what we found on sunny Wednesday. 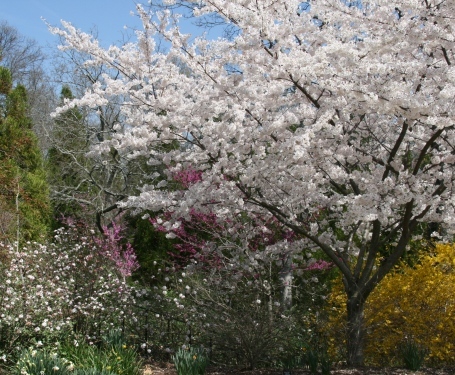 We set out for Cheekwood Arboretum in search of the illusive Dogwood bloom. 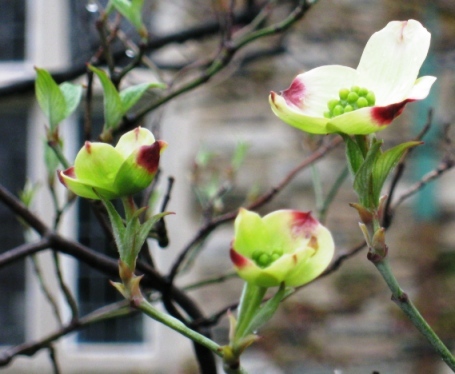 Although we found almost the entire Dogwood garden in bud, there were no blooms. There were however, many other spring beauties in flower and tree. In one section the Mock Oranges were so fragrant it was breathtaking. Here is the beautiful sight we first had when walking into the park. We spent the entire day walking the park. Although there was a stiff cool wind, the sun was bright and glorious. 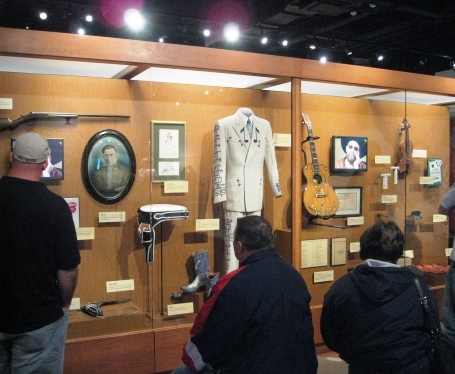 Thursday we visited the Country Music Hall of Fame Museum to see the Williams Family display. We had been to the museum a few years ago, and not much had changed. We did enjoy seeing it once more, and the story of Hank Williams and his family was well worth the admission. Over the last ten years, Willi and I have found every nook and cranny that contains a Dogwood tree. We always take the paths that lead past them just to get a glimpse. And look what we found amidst the raindrops today! Although not yet fully in bloom, it was a glorious sight! The big decision now is, do we hold out and leave Sunday morning in hopes that tomorrow’s warm and sunny forecast brings on the blooms? Or do we head home tomorrow and have a day to recoup? Geez. love the photos, could almost smell the Mock Orange. mmmmm….orange blossoms are one of my favorite smells… does a mock orange smell anything like that? did i mention that someday we’re coming with you on this trip? The Dogwoods are in bloom here. So pretty! « Thursday – TPS Not!